For more than 20 years, I told my clients that the best way to settle a case was to be prepared to try it. Settlement efforts and mediation came only after a complete discovery process. Discovery is an umbrella term for a series of procedural devices lawyers use to learn information that might be used as evidence in a trial. Discovery can be a labor-intensive and emotionally draining process. I now advocate for early mediation to regulate discovery as well as settlement. An early neutral intervention can help parties target their information-gathering and focus on settlement from the beginning of the case. This avoids a shotgun approach to discovery that can lead to frustration, anger, wasted time and energy, and impasse. We often spend time in mediation undoing the damage we have done to the relationship of the parties by turning over every stone in every case. Settlement occurs in more than 90% of cases. It makes sense to steer the parties toward resolution from the beginning, rather than veering from a path toward trial in the later stages of the pretrial process. 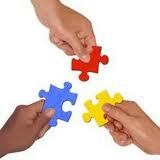 We can use mediation or settlement conferences to target discovery. Parties will better understand the need for requested information. This will encourage full mutual disclosure of relevant information, and help avoid unnecessary and over broad information requests. Attorneys can serve client interests more efficiently and effectively. This problem-solving approach isn’t appropriate in all cases, but fits the needs of many clients. It’s in the nature of attorneys to be competitive, but it’s not about the lawyers. It’s about what the client needs and wants. We need to explain the options to the client and develop a case management strategy in consultation with them. Most clients would focus on early settlement if they felt they were going to have the information they needed, competent advice on the law, and assistance in negotiation. The courthouse door is always open to clients whose cases, for whatever reason, can’t settle. We don’t always have to drag clients kicking and screaming to the courthouse steps to test the settlement waters. If we don’t treat every case like a trial in waiting, it will enhance our collective professional reputation. Please share your thoughts or experiences on mediation or settlement in the comment section below. Thanks to Randy Kessler, Kessler & Solomiany LLC, and the KS Family Law Blog, for inspiring this piece.